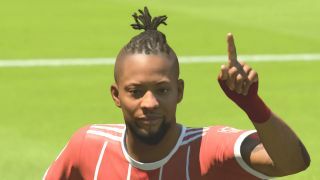 Alex Hunter is back for a second season as part of FIFA 18, with his sophomore campaign extending beyond the Premier League to Brazil, USA and a European country of your choosing. The Journey: Hunter Returns is split into six chapters, each delivering a sweet Ultimate Team reward upon completion. The entire mode took me around 14 hours to finish, though you can do it faster by skipping training, and declining an option at the end of Chapter 5. Below is everything that happens in The Journey 2, including the ending and all FUT unlockables. Spoilers ahead, obviously. After a brief recap of last year’s storyline – which climaxed in a cup final match against friend-turned-foe Gareth Walker – you join Hunter and friend Danny Williams in Brazil, for a FIFA-Street-style kickaround. It’s an early highlight. After that it’s on to Los Angeles for a pre-season tournament, with Hunter’s estranged dad turning up outside the Stubhub Center after one fixture, looking to reconcile the pair’s differences. Alex is frosty at the idea, but pops goes on to have a key role in this year’s story. A scene swapping shirts with Cristiano Ronaldo, following a friendly with Real Madrid, amuses thanks to Ronny’s hammy acting, while rumours of Alex moving away from his current club begin to emerge. Chapter 2: Stay Or Leave? Alex partakes in a sit-down interview with Rio Ferdinand on a TV show called ‘Ones To Watch’ – a smart nod to a particular type of special card in Ultimate Team. He also runs into Walker while at the studio, and the option to make amends is included as a conversational choice. Alex's agent reports interest from Real Madrid, only to discover that it’s all a ruse. Having burned bridges with his current Premier League club, Alex appears to be caught in limbo as the transfer deadline approaches. A lifeline comes via a video call from his dad: now scouting in the US, he facilities a loan move to LA Galaxy. Alex is approached by a teenage girl while in the LA Galaxy dressing room, who – it transpires – is his paternal half-sister, Kim. His mum visits from the UK and expresses her regret at never having told him about his secret relative, and he seeks to build a relationship with his new sibling. On the pitch, Alex helps Galaxy qualify for the play-offs. A friendship with LA striker Gyasi Zardes, who made disparaging comments towards Hunter ahead of a pre-season match in Chapter 1, is also formed. Attending a lavish party hosted by Thierry Henry, Hunter reveals to the French legend that he has tickets to watch his sister play football that night; she’s an American international and is on the bench for a game against Germany. Hunter heads to the match, at which point you take control of Kim once she’s introduced as a substitute. As for his own career, a major chapter goal is to lead Galaxy to MLS Cup glory. Once the play-offs are complete, Hunter moves back to London – after presenting Kim with their granddad’s treasured football – and learns of interest from three European clubs: Bayern Munich, Atletico Madrid, and Paris St Germain. The chapter ends with you making your choice of next move from that trio. I selected Bayern. Hunter kicks off his European career with a frenzied press conference, before being called into coach Simone 'Dino' Agostino’s (returning from the Journey 1) office to recommend a new signing. Your choices are Thomas Muller, Antoine Griezmann or Dele Alli, and the selection affects future cut-scenes and on-pitch performances; your match ratings improve by nurturing a strike partnership with your chosen player. I went for Greizmann. It isn’t long before Alex is struck down by injury mid-match. He’s diagnosed with a Grade 3 meniscus tear, and sent home to London to recuperate. At this point, you get to instead play as Danny Williams, who’s been signed by Hunter’s original club. The Williams element of this chapter affects game length by around 90 minutes. After a meeting with your first team coach discussing Danny’s future prospects, you can elect to continue playing as him, or skip to Chapter 6. Progressing as Williams sets up a Carabao Cup Final date at Wembley; like last year’s FA Cup Final, your opponent is Gareth Walker’s West Ham. After the match, if you win, you get to offer Walker commiserations in the tunnel, or cockily brush him off. You begin the final chapter in LA, finishing your recovery. A crossing and finishing session with Kim inside an empty Stubhub Center is a neat inclusion, before you say your farewells to sister and dad and head back to Germany [or France, or Spain, depending on which club you chose earlier]. Dino and Griezmann [or Alli, or Muller] welcome your return, as Bayern [or PSG, or Atletico] push for honours in both league and cup. The very clear implication is that Hunter will be back for a third season in FIFA 19. FIFA 18 is out on 29 September. For further reading, be sure to check out the GamesRadar+ review.